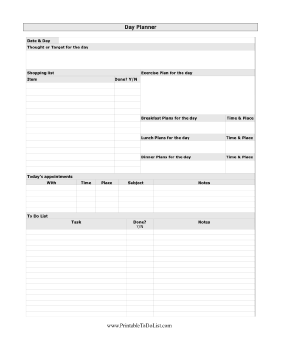 A detailed plan laying out an entire day of work, shopping, meals, exercise, and other activities. This To Do List is free to download and print. This Printable To Do List is available to download for free. If you don't see a To Do List category that you want, please take a moment to let us know what you are looking for.